The world is teeming with coding bootcamps, but I just couldn’t find a more geographically/visually oriented website that showed all the physical coding bootcamps that are available out there. In comes Bootcamp.me, a Google map that provides links to in-person coding bootcamps/development schools located worldwide. 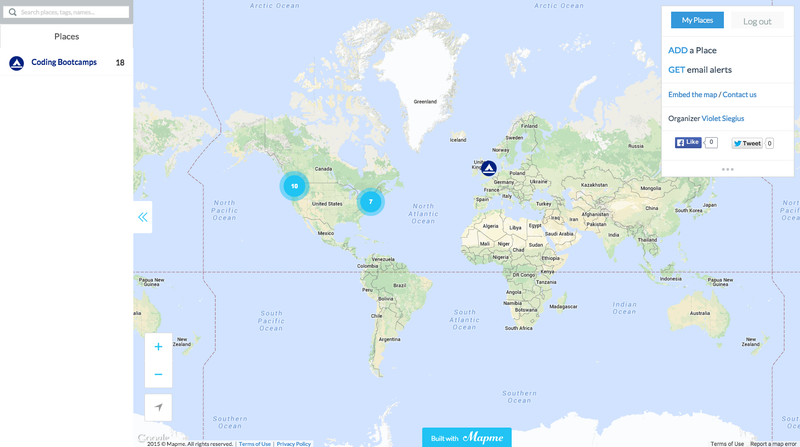 I also created a crowd-sourced version of the map using the service Mapme starting May 20th, 2015. So after realizing a lot of people liked the idea of a more geographically oriented way to find a bootcamp, I started creating Bootcamp.me using Google Maps back in November of last year. Again, you can find the Google Map at bit.ly/bootcampme. 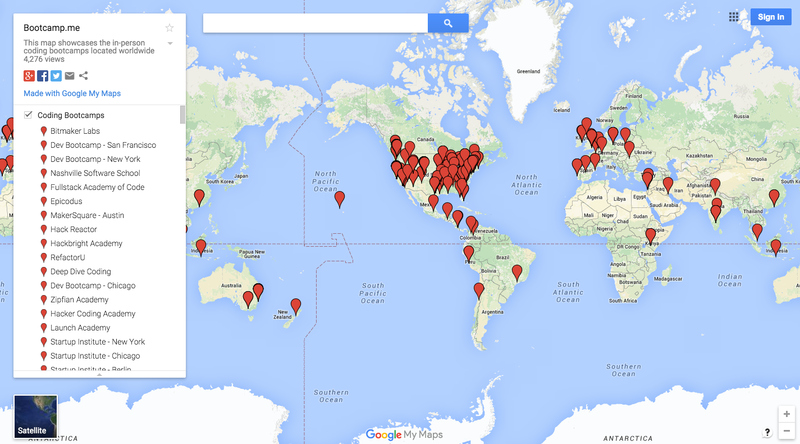 As of right now, there are exactly 165 distinct bootcamps on the map, which is pretty awesome. I mean, it’s only been 3 years and there’s already so many! Says a lot. It’s also really cool seeing where they are popping up, which is practically everywhere, but there are definitely some clusters here and there. 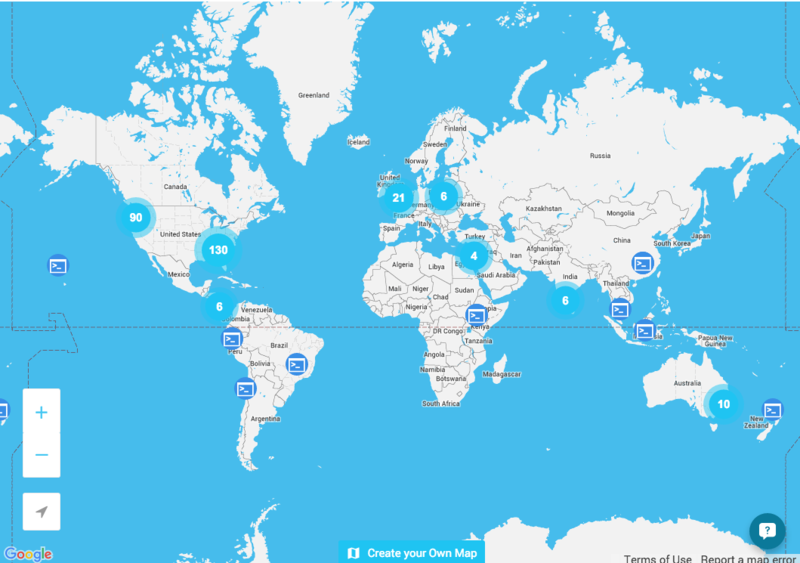 Anyhow, after some thought, I decided to go ahead and begin a crowdsourced version of the map using Mapme, an Israel based startup that allows users to develop - surprise, surprise - crowdsourced maps. This is partly because I know I’m not going to be able to update this project at some point in the future due to other priorities so better to have it updated constantly by everybody instead of me alone. Now I’m not completely switching over to this map quite yet. Mapme is still a work in progress being a startup themselves so the app isn’t quite refined yet. It’s nice, however, that I was able to get early access. It’s obvious they’re dedicated to quality over quantity right now. For the time being, I’ll be adding on to the crowdsourced map gradually (I have a lot going on with Fullstack Academy right now), but the Google Map will still act as the main reference, even if it does lack a bunch of features. My future goals still involve making this into a full-fledged web app or having it as a resource for a coding bootcamp investigator, as I like to call them (think Course Report and SwitchUp). What would they be formally called anyways? I began working on this project on November 8, 2014. I began working on this project in November 2014 and provided a big update on January 12, 2016.